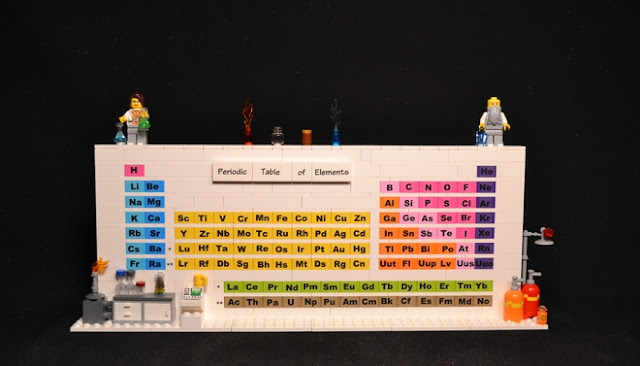 Chemjobber: A Lego periodic table? I like it. It would be great for labs that give tours to the general public. Agreed. It is actually rather cute. The only irony would be perhaps the propensity of the periodic table to dissolve in e.g. MC or toluene. Let Legos be Legos. 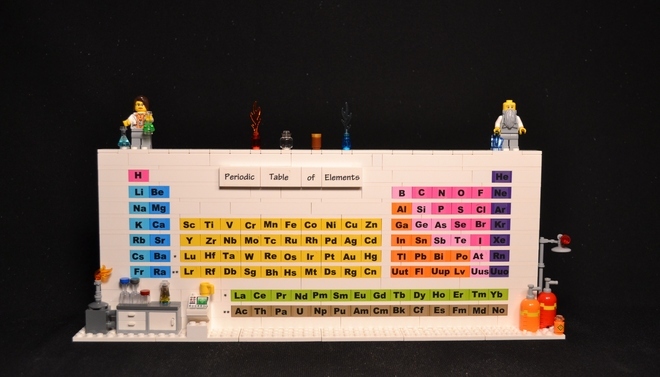 There are already several good molecular model sets available. I even purchased extra tetrahedral and trigonal planar C atoms, as well as sp2 bonds, for the HGS ones from Japan.